CAIRO (Sputnik) - The Tobruk-based parliament in Libya on Wednesday accused Qatar of supporting militants that had attacked Libyan oil ports in June, local media reported. According to the Libyan News Agency, the statement was made by the defense and national security committee of the House of Representatives, the Libyan parliament based in Tobruk. "The State of Qatar is complicit in preparing the attack on [Libyan] oil fields and ports," the statement was quoted by the media outlet. In mid-June, militants with links to the Al Qaeda terrorist group attacked and captured the ports. In late June, the forces of the Libyan National Army (LNA) started seizing the so-called oil crescent and soon declared full control over the area stretching from Tobruk to Sidr, including the port in Ras Lanuf. The LNA said control would be handed over to the eastern government based in Tobruk instead of the Tripoli-based Government of National Accord (GNA). 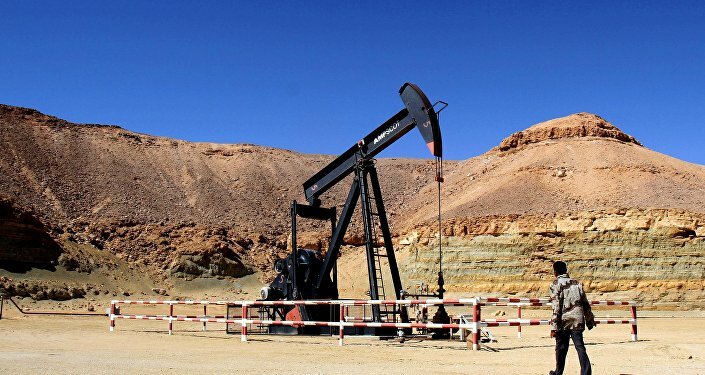 According to the Libyan National Oil Corporation (NOC), the militants’ assaults on the ports resulted in Libyan oil production cuts amounting to 400,000 barrels per day. Moreover, two oil storage tanks, located in the ports, were destroyed. Production then came to a near halt after the capture by the LNA. The Tobruk government and the UN-recognized GNA have been the two main entities governing Libya since the GNA was established in 2015. Prior to that, the west of the country was under the control of the General National Congress. The duality emerged in the aftermath of the overthrow of long-time leader Muammar Gaddafi in 2011 in the course of the Libyan conflict. Qatar has been under diplomatic and economic blockade since June 2017 when the United Arab Emirates, Saudi Arabia, Egypt and Bahrain cut off diplomatic relations and communication with Qatar, accusing the country of supporting terrorism and interfering in their internal affairs. The Maldives, Mauritius, and Mauritania followed suit, while Jordan and Djibouti reduced the level of their diplomatic missions in Qatar. Doha has refuted the allegations.